Kudos to the states of Maine, Maryland, and Washington for passing equal marriage acts, and to Minnesota for defeating a marraige ammendment which would define marraige as between one man and one woman. The kindom of heaven is like the owner of an estate who went out at dawn to hire workers for the vineyard. After reaching an agreement with them for the usual daily wage, the owner sent them out to the vineyard. When evening came, the owner said to the overseer, “Call the workers and give them their pay, but begin with the last group and end with the first.” When those hired late in the afternoon came up, they received a full day’s pay, and when the first group appeared they assumed they would get more. Yet they all received the same daily wage. Thus the last will be first and the first will be last. In my book this parable is pure gold. I haven’t met a group yet, that when asked to take this parable literally instead of figuratively doesn’t get flustered and angry. We silly western capitalists with our sense of “just economics” all screwed over by the scriptures. In all honesty though, in focusing on the economics of the parable (which we’ll get to later), we miss the comparison. The empire of God is not like workers (although they are important), rather the empire of God is like a vineyard owner who needs to get the harvest in. The repeated action of seeking and hiring laborers throughout the day speaks of urgency for a fast and speedy resolution of the harvest. This vineyard owner is not one to risk the crop when there are plenty of workers to be found. When approached through the estate owner, the empire of God is demonstrated to have immediacy about it and will act with insistence, regardless the cost. Queer people of faith are often questioned as to why we remain with institutions of religion that from some parts spew hate and bigotry. We stay because we know this urgency - the necessity to resist the notion that God’s compassion is reserved only for heterosexuals, the necessity to help all connect with the Sacred who created fluid sexuality, the necessity to transform a culture which still seeks to subjugate queers as “abnormal” and, therefore, “sub-human.” Yes, we queer people of faith know the urgency to stake our claim in an empire which stands against discrimination, hate, and humiliation and stands for acceptance, love, and liberation. 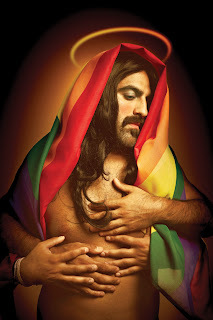 Like Keshiri's photograph queer people know that the urgency of addressing our situation from within faith communities outweighs the cost of the backlash created, or in the language of the parable, the cost of the labor needed. And what about those laborers – all paid the same even though all did not work the same? 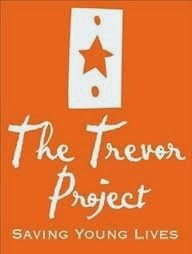 When approached through the laborers and their reactions against one another the parable seems to peer deep into the soul of the gay community. Far from what the stereotype suggests, the gay community is not a monolithic entity. It is porous, disjointed, and from time to time at enmity with itself. Queer folk arrive at different junctures onto the scene – some younger, some older, some bold, some timid, some excitedly and some slowly. From all this mix of chaos a queer orthodoxy or "homodoxy" (as I heard this dynamic recently referred to) and its accompanying hierarchy arises. Much as the workers of our parable feel there should be an economic hierarchy based on the number of hours worked. This parable – from the workers point of view – flies in the face of our homodoxies. It says that no one les-bi-gay-trans-intersex-asexual-queer person is gayer or more dyke then the next queer person. It reminds gay and bisexual men that we are all queens regardless of how hard or soft our bodies are. It lets lesbians know that not all males are patriarchal. It reminds us that the grace to transition genders so as to be congruent is a gift of life, to be born with both sets of genitalia is just as human an experience as to be born with one of the other, and the dualism between in/out of the closet has more to do with our mental attitudes than reality. "The last shall be first” we are told is the point of the parable. The image of the estate owner honoring the last in front of those who were first drives home another point: blessed are those who take no offense.